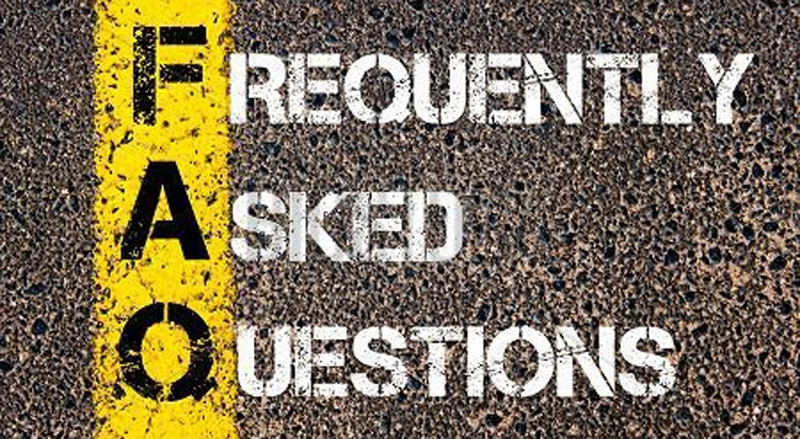 We’ve added some of the most frequently asked questions (FAQs). At the end of the page we’ve also included important links to sites you might want to use to gather more information. You are always welcome to call Quality Circle directly and ask our staff to assist you or answer your questions. Q. What is the DWC Medical Unit and what does it do? A.The Medical Unit is a unit within the state Division of Workers’ Compensation (DWC) that manages medical issues in workers’ compensation. The DWC Medical Unit oversees medical provider networks (MPNs), health care organizations (HCOs), utilization review and medical treatment guidelines. The Medical Unit also appoints qualified medical evaluators (QMEs), spinal surgery second opinion physicians (SSSOPs) and independent medical reviewers (IMRs). These physicians help resolve medical disputes in the workers’ compensation system by issuing medical opinions that can be used as evidence before the Workers’ Compensation Appeals Board. The Medical Unit also issues QME panels to injured workers and claims administrators. A.A qualified medical evaluator (QME) is a physician who evaluates you when there are questions about what benefits you should receive. A physician must meet educational and licensing requirements to qualify as a QME. They must also pass a test and participate in ongoing education on the workers’ compensation evaluation process. If you have an attorney, you and your claims administrator might agree on a doctor to resolve medical disputes. This doctor is called an agreed medical evaluator (AME). An AME or a panel QME will be used to resolve medical disputes in your workers’ compensation case. Q. What is the difference between an AME and a QME? A. If you have an attorney, your attorney and the claims administrator may agree on a doctor without going through the state system used to pick a QME. The doctor your attorney and the claims administrator agree on is called an agreed medical evaluator (AME). A QME is picked from a list of state-certified doctors issued by the DWC Medical Unit. QME lists are generated randomly. An AME can only be used if you are represented by an attorney. Once you see an AME you are not entitled to see a QME. An AME may be used regardless of the year of injury. An AME physician may be a QME, but does not have to be one. Q. What is a panel QME? A.In this context, the word panel means a list. A panel QME is a randomly generated list of three QME physicians issued to you when there is a question about whether or not your injury is work related, or if there is a medical dispute that hasn’t been resolved by the treating physician’s report. Whoever fills out the form to request the panel QME chooses the specialty of the doctors on the panel. Q. Who completes the panel request form? A.You will receive the panel request form from the claims administrator and are given the first chance to fill out and submit the form. If you do not submit the form within 10 days, the claims administrator will do it for you and will get to choose the specialty of the QME you’ll see. Q. I have two different problems from the same injury (for instance, a psychiatric and an orthopedic problem). May I request two panels, one psychiatric and one orthopedic? A. The basic rule is that you get one. The claims administrator is only required to pay for one QME evaluation. The selected QME can get a consultation from another physician if there is a need for input from more than one medical specialty. However, there are some circumstances where a workers’ compensation administrative law judge, the Division of Workers’ Compensation’s executive medical director or a state information & assistance officer may request an additional panel. In those cases, a panel will be provided. Q. Can I get a new panel because the physicians on the panel are too far away? A.No. The Medical Unit cannot replace physicians based on distance from your address and cannot simply choose the physicians closest to you. By law, the QME panel process must be done randomly according to ZIP code. The claims administrator will pay your transportation costs to see the QME. Q. The QMEs on the panel you issued are close to my home. However, can you give me a panel closer to work? A.The law requires the Medical Unit to issue panels close to your residence. However, the DWC Medical Unit can issue a panel of QMEs using the ZIP code of your workplace if the claims administrator agrees to this request. Q. Can I get a second panel if one or more of the QMEs are unavailable for over 60 days? A.If one or more of the panel QMEs is unavailable to see you within 60 days of receiving the panel, the Medical Unit will replace those QMEs. The Medical Unit will verify that the physicians on the original list are not available before issuing a new panel. Q. The panel QME I want to see is unavailable for three months. Can I wait for three months to see this QME? A.Under most circumstances you can choose to wait. However, if the claims administrator is sending you to a QME because they don’t think your injury or illness was caused by work, you cannot wait. This is called seeing a QME to determine AOE/COE, which means determining whether your injury or illness is arising out of and occurring in the course of employment. Q. I showed the panel of QMEs to my treating physician/friend/union representative and he/she does not think any of the physicians listed will give a fair report. Will the DWC Medical Unit issue a new panel? A.No. The panel is randomly selected through a computer program. All the physicians on the panel have applied to the DWC Medical Unit to be QMEs and have met all the requirements to be a QME. Only the Workers’ Compensation Appeals Board has the authority to determine that a QME is biased or unfair. Q. I received a panel three weeks ago and didn’t select a QME. The claims administrator selected a QME from the panel and made the appointment. Can they do that? A. Yes. If you didn’t select a QME from the panel within 10 days of its issue date, the claims administrator has the right to make the selection. Q. I was issued a panel of orthopedists at the claims administrator’s request. However, I want to see a chiropractor. Will you issue a new panel? A. No. You had the first chance to send in the request form and to select the specialty of the QME. If you failed to make the request within the 10-day deadline, the claims administrator has the right to select the specialty of the panel. Q. Is it possible to replace the physician due to his nationality/accent/age? A.No. All the physicians on your panel have met the DWC Medical Unit’s requirements to be a QME and are licensed to practice in California. The QME physicians on the panel are randomly selected. Q. What happens when a physician on the QME panel is no longer a QME? A.The Medical Unit will check its records to see if the physician is still an active QME. If not, this QME will be replaced. Q. What if two of the QMEs listed are in the same office or medical group and I believe this does not really give me a choice of three different QMEs? A.Under these circumstances the DWC Medical Unit will issue a second panel replacing one of the physicians. Q. I have moved since the panel of QMEs was issued. Will the DWC Medical Unit issue a new panel closer to my new home? A. Yes. The Medical Unit will issue a new panel closer to your new residence as long as you have not been seen by a QME doctor from the first panel. Q. Do I have to go through the QME process if the claims administrator and I agree with the treating physician’s report? A.Not if you both agree and the treating physician’s final evaluation is adequate. That means that if your case includes some permanent disability, the treating physician’s report must be written correctly to ensure it is “ratable” by the Disability Evaluation Unit. Q. I moved out of California and would like to settle my case without going through the QME process. Is this possible? A.If both you and the claims administrator agree with the treating physician’s report there is no need to attend a QME evaluation. Q. My QME evaluation was yesterday. How long does the doctor have to issue the report? The physician has a “good cause” for an extension. A good cause is a medical emergency of the evaluator or the evaluator’s family, death in evaluator’s family, natural disaster or other community catastrophes that interrupt the operation of the evaluator’s office. The computer breaking down or a staff member quitting is not considered good cause. Extensions for good cause may not exceed 15 days from the date the report is required to be served. Q. I just received the QME report. What happens next? If you have an attorney and permanent disability is the disputed issue, the QME will send a copy of the report to both your attorney and the attorney for the claims administrator. If a permanent disability rating is required, a copy of the report will be sent to a disability rater by either your attorney or the attorney for the claims administrator. Your attorney should advise you about all the steps in the process. Q. I need another evaluation. Should the original QME do it? What if that physician is no longer performing QME evaluations? A workers’ compensation administrative law judge decides you should have a new evaluation with a different QME.